Posted byMei 16 July, 2012 11 July, 2012 Leave a comment on Oliva Forte – Could its patented HIDROX, extracted from olives, help your child’s eczema through its anti-inflammatory property? MarcieMom was contacted by Steward Cross Pte Ltd, a pharmaceutical sales and marketing company, on their charity sales of the product Oliva Forte where 20 per cent of the proceeds would go to the Singapore eczema fund (a fund that is initiated by my donation and administered by the Asthma Association). 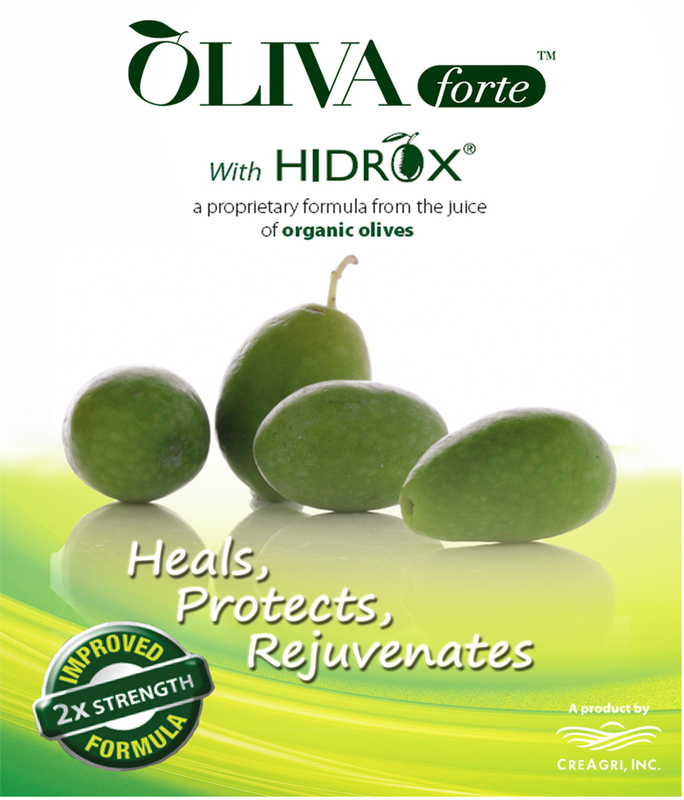 Oliva Forte is a health supplement containing HIDROX®, a standardised freeze dried blend of organic olive juice patented by CreAgri Inc, a US company that specializes in the development of olive and antioxidant polyphenols. As you know, MarcieMom doesn’t do product review but is open to understanding more of products that are targeted for eczema patients, so that you can have your questions answered before deciding on a purchase. For this interview, MarcieMom asked ManHon Shiew, CEO, CreAgri International to explain more about OLIVA Forte. CreAgri International is the international arm of CreAgri’s venture responsible to advance the application of HIDROX® in the field of human dietary supplement. In his role, ManHon leads his team to launch and promote their brands OLIVA Forte, OLIVENOL and OLIVENOL Plus in different international markets. You can read more on ManHon’s background in featured guest. Marcie Mom: Thank you ManHon for taking time for this interview. Before we go into the product, let’s first understand the company behind it, CreAgri Inc. CreAgri is a California company founded by Dr Roberto Crea who has been granted over 25 patents in his career, and is one of the scientific co-founders of Genentech, Inc. Could you let us know more about CreAgri, specifically when CreAgri is started, the number of employees and scientists it employs and its research facility? ManHon: CreAgri was founded following a serendipitous sequence of events triggered by the curiosity of a scientist. Back in the late 90s, fresh off a successful disposal of one of his US biotech company to a major pharma, Dr Crea was holidaying in Italy, his home country. It was then that he was introduced to a new method of producing olive oil developed by scientists in the University of Rome. There was a lot of interest in the scientific and medical community at that time in the health benefits of olive oils and olive derivatives. The olive oil industry was focusing on improving the quality olive oil. The method developed by the University of Rome produced very high quality oil. It was Dr Crea’s curiosity that led him to question if it was possible to recover equally beneficial molecules from the discarded portions of the olive oil industry. This led him to look into wastewater that was disposed after oil is separated. In summary, it was through this early endeavour that Dr Crea discovered that olive polyphenols responsible for health benefit from olive oil are available in abundance in the wastewater. CreAgri was founded to develop and exploit the discovery made by Dr Crea. From its inception in 2001, CreAgri’s R&D team of 5 research scientists was kept in house in California where Dr Crea resides. Clinical studies on products and formulation produced by CreAgri were conducted in collaboration with external institutions such Tokyo Vascular Institute and Arizona State University. A total of 20 other staff makes up the rest of CreAgri Inc.
MarcieMom: On the product, Oliva Forte – It contains HIDROX® and CreAgri HIDROX® has been awarded the Outstanding Application in Health Management in the Nutraceutical Business Technology Award ceremony in May 2011, Geneva. Olive Forte is an improved formulation of Olivenol TM and is derived from the juice of organic olives. Olive is a rich source of polyphenols, a family of natural compounds found in plant foods, which have been associated with anti-inflammatory, anti-oxidant, anti-microbial and anti-tumour properties. However, in the production of olive oil, active polyphenols in the form of olive juice is disposed as wastewater. What CreAgri does is grow its own certified organic olive farm in California, harvest the olives early (for higher level of polyphenol) and then use a proprietary process (“Integrale Process”) to extract the polyphenol. HIDROX® is certified GRAS, Generally Regarded as Safe, meaning it has passed safety tests recognized by FDA. In the next post, ManHon answers MarcieMom’s questions on the Integrale Process.